What If Professional Athletes Could Get High? 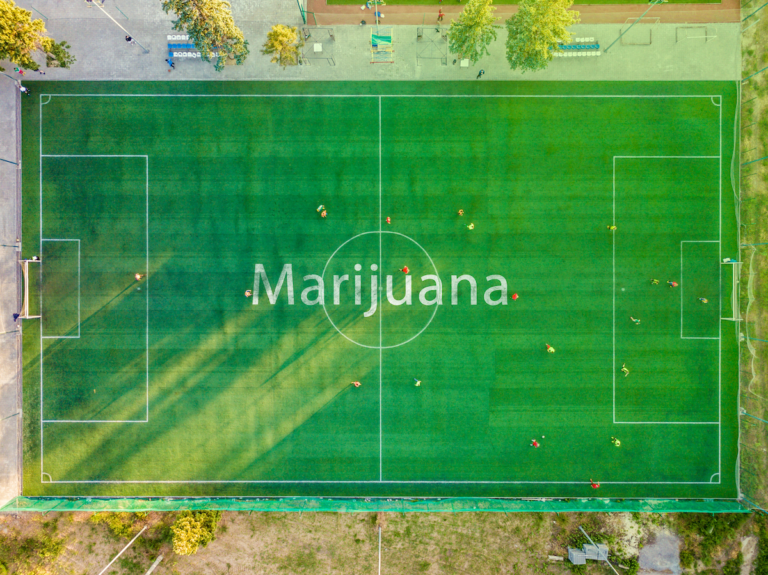 With the rise of cannabis legalization, many are asking how professional sports will be affected. Each sport has a different stance. In the NFL, players can face suspension, substance abuse treatment, and drug tests. On the other hand, the NHL does not punish those who test positive for THC but instead offers treatment. With such varied positions across the sports spectrum, it is hard to develop an opinion. How much is too much? Is it any different than drinking a beer after work? Will smoking marijuana cause you to perform like a super athlete? Does playing sports feel better after a few bowls? These are some interesting questions. However, let’s get weird. Let’s take a glance at how things would be if professional athletes were stoned all of the time. There is no question that at least the medical use of cannabis should be legalized across the board. The federal government does not need to have its sticky finger in the business of every state. There is also no question that being properly medicated can make sports that much more interesting. Imagine if MLB players were allowed to choose medical marijuana over opioids, Tylenol, or other harmful drugs. Not only would their pain be more tolerable—and managed in a safer way—but the whole event would be more entertaining. Less tobacco spit would be shot all over the dugout. Gusts of keef and put-out joint butts would garnish the field instead. And then would come the singing of the National Anthem. The young pop star, eyes bloodshot and glazed like a donut, takes the mic. A faint cough echoes throughout the stadium, causing feedback in the sound system. Silence drowns out itself, and our favorite singer sings. Her performance is relaxed yet filled with utter commitment. The crowd’s skin is peppered with more goosebumps than they have ever felt before. What a beautiful experience! Exaggerated, yes, but beautiful. And all because legal cannabis played a small part. There is much to be said about the overall positive warmth that is felt when marijuana is thrown into the mix. Being legally medicated but not intoxicated is key, and it is an achievable ideal. The NBA is awesome. Basketball is a fierce, engaging sport. But wouldn’t it, too, be more interesting if players medicated with legal cannabis? It’s Chicago, 1988. The Slam Dunk Contest is going on. It is a perfect world, but it is made more perfect because medical marijuana and recreational cannabis have been legalized. Maybe Regan saw the light (of a lit bowl) and eased up some. Who knows. Michael Jordan steps up to the free throw line. The crowd is electric. Shutters and camera flashes are going off like the Phuong Dinh bridge in 1967. Jordan walks back to the far end of the court. He is focused, committed, and stoned out of his mind. He starts the rush forward. He gets to the free-throw line. He jumps. Time seems to cease. Everything is going so, so, so slow. He peaks, single arm outstretched, and he dunks. The crowd has passed out at this point. It was too much excitement, and eternity seemed to pass. Now that would be some basketball. These cars drive upwards of 200+ miles per hour. However, medicated drivers are, by a rule of thumb, safer, slower, and more focused. The 200+ MPH speeds soon come to a crawl of about 30-40 MPH. The race goes from hares to tortoises in a matter of seconds. Fewer accidents happen because the cars are not going fast enough to become absolute twisted metal. Due to the safer speeds, less rednecks show up to the stadiums. Bud Light has to go into emergency marketing mode because—go figure!—no one is buying their super ultra-bigass cans of watered down urine/numbing agent at Talladega anymore. What a loss! The takeaway here is that safe, legal medical marijuana would not harm sports. That’s a crock of bull**** used by mega-corporations and big government to fearmonger. Players would not want to risk their A-game by being too intoxicated to play. However, the levels of THC used to treat most sports related pain would not be the same amounts as those who toke for hours on end. The Status of Cannabis Legalization: Would our founding fathers be proud?